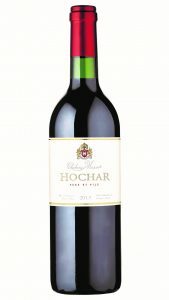 Hochar Père et Fils Red is sometimes mistakenly referred to as the ‘second wine’ of Chateau Musar but this is not an accurate description. Four years in the making, Hochar Père et Fils Red is a blend of Cinsault, Grenache and Cabernet Sauvignon, from a single vineyard near the Bekaa Valley village of Aana, characterised by deep soils over limestone. At an average age of 30 years old, yields are low from these mature bushvines: 20-30 hl per hectare. The three varietal components are fermented in cement vats, with 6 to 9 months ageing in French oak barrels (from the forest of Nevers) before blending and bottling (unfined and unfiltered). As with the Chateau Musar Red, the wines are blended to reflect the character of each vintage. After several years’ maturation in bottle, the wines are released a full four years after the harvest. Bottled unfined and unfiltered, Hochar Père et Fils Reds are suitable for vegans; they’re also richly-textured and likely to produce deposits in bottle. This is a feature of most fine wines. Ideally, the wine could be decanted (discarding any sediment) up to one hour before serving at between 16-18°C. This wine is an ideal choice for casseroles, roasted meats, tuna steaks and Mediterranean dishes.